A Canadian couple's beach vacation to the Dominican Republic quickly turned into a traveler's nightmare. The pair developed painful blisters and swelling in their feet that they later learned were the result of hookworms. Katie Stephens, 22, and Eddie Zytner, 25, noticed their feet were itchy during their stay at the IFA Villas Bavaro Resort in Punta Cana earlier this month but they thought they'd been bitten by harmless bugs. "For a lot of our trip, we found that we were scratching our feet quite a bit," Zytner told CTV News. "Sand fleas we had heard about so we kind of assumed it was that at first." But when they returned home, they noticed their feet beginning to swell. After several doctors appointments, they were diagnosed with larva migrans, commonly known as hookworms. 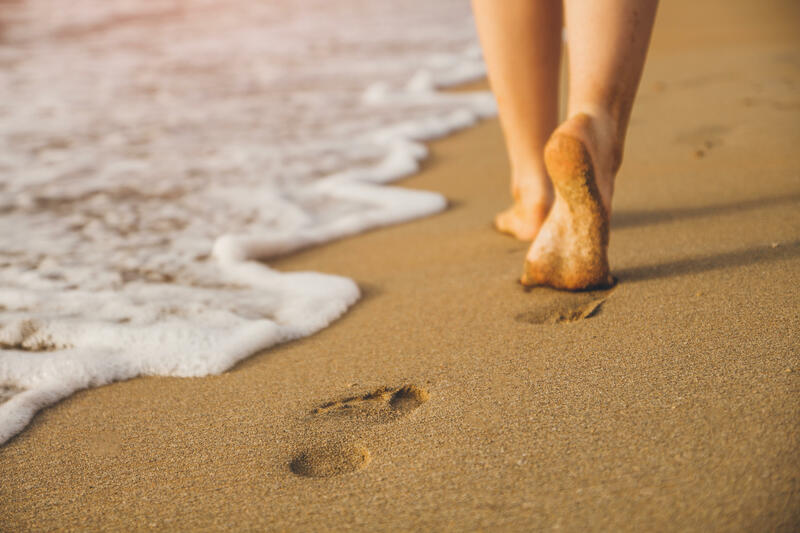 "My boyfriend and I recently got back from Punta Cana to discover that we both have larva migrans, in other terms worms in our feet," Stephens wrote in a Facebook post that also included some gruesome photos of the infected feet. According to the Centers for Disease Control and Prevention, hookworms are parasites that can penetrate the skin of humans. Hookworm infection is transmitted primarily by walking barefoot on contaminated soil. A person with a light infection may have no symptoms, but a heavy infection can lead to itching, a localized rash, abdominal pain, diarrhea, loss of appetite, weight loss, fatigue and anemia. The infection can typically be treated in one to three days with medication prescribed by a health care professional. The best way to prevent hookworms is to avoid walking barefoot in areas where hookworm is common. Now, Stephens and Zytner want to warn other travelers of their story in the hope that it won't happen to anyone else. "If your feet become incredibly itchy please get it checked out right away since we simply thought it was just bug bites and it became worse as each day passed," she wrote. Stephens also complained that the health care system in Canada did not cover the medication she needed, although she later added, "I would like to stress we had amazing health care from our doctors to our nurses, nurse practitioners and pharmacists."